Брызгалина Елена Владимировна, кандидат философских наук, доцент, заведующий кафедрой философии образования Философского факультета МГУ имени М.В. В статье рассмотрены особенности принятия управленческих решений в сфере образования на материале ситуации в современной России. Система государственного управления образованием рассматривается как социально-философская проблема, выделяются управленческие ответы на вызовы, обусловленные тенденциями развития мирового образовательного пространства. Ключевые слова: образование, государственная политика в области образования, реформа образования, мировое образовательное пространство, образовательная система. Федеральный закон от 29 декабря 2012 № 273-ФЗ «Об образовании в Российской Федерации» // Российская газета. 2012. Федеральный выпуск 5976. 31 декабря г.
Брызгалина Е.В. Компетентностный подход и будущее социогуманитарного образования // Вестник Волгоградского государственного университета. Серия 4. 2013,. № 1 (23). С. 162—169. Брызгалина Е.В. Проблемы оценки качества образования: теория и практика// Естественнонаучное образование: взаимодействие средней и высшей школы / Под общ. ред. проф. В.В. Лунина. 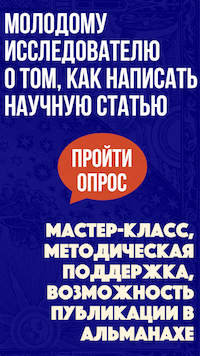 М.: Изд-во Московского университета, 2012. С. 124—144. 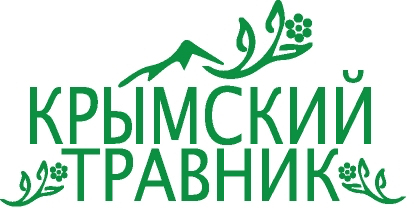 Брызгалина Е.В. Управление образованием как сложным социальным институтом. Философские проблемы// Вестник Томского государственного университета. Философия. Социология. Политология. 2012. № 4. Вып. 1. С. 12—19. Миронов В.В. Проблемы реформирования российского образования // Метафизика. 2014. Т. 14. № 4. С. 52—60. Миронов В.В. Размышления о реформе // Вестник Московского университета. Серия 20. Педагогическое образование. 2013. № 3. С. 32—70. Миронов В.В. Размышления о реформе российского образования: доклад на международной научной конференции «Философия и образование в процессе трансформации культуры», посвященной 70-летию воссоздания философского факультета в структуре МГУ имени М.В. Ломоносова. М.: Издатель Воробьёв А.В., 2011. [Электронный ресурс]. Режим доступа: http://istina.msu.ru/media/publications/books/ 48c/0e3/835395/2011_Tekst.pdf. Миронов В.В. Философские размышления о реформе // Философское образование. Вестник ассоциации философских факультетов и отделений. 2012. № 3. С. 173—184. Панарин А.С. Глобализация как вызов жизненному миру // Вестник Российской Академии наук. 2004. Т. 74. № 7. С. 619—626. Сорина Г.В. Управление образованием: особенности принятия решений в системе конкурсного отбора // Пространство и Время. 2012. № 3. С. 222—224. Сорина Г.В. Управленческие решения в современной системе образования (часть 1) // Вестник Российского философского общества. 2007. Т. 3. № 1. С. 65—69. Сорина Г.В. Управленческие решения в современной системе образования (часть 2) // Вестник Российского философского общества. 2007. Т. 4. № 2. С. 59—65. Хардт М., Негри А. Империя / Пер. с англ. под общ. ред. Г. В. Каменской. M.: Праксис, 2004. Ho W., Dey P.K., Higson H.E. "Multiple Criteria Decision-Making Techniques in Higher Education." International Journal of Educational Management 20.5 (2006): 319—337. Marsh J.A., Pane J.F., Hamilton L.S. Making Sense of Data-Driven Decision Making in Education. Santa Monica, CA: RAND, 2006. Mironov V.V. "Reflections on the Reform of Education." Russian Journal of General Chemistry 83.6 (2013): 1212—1225. Брызгалина, Е. В., Миронов, В. В. Управление образованием как ответ на вызовы системе образования современной России: социально-философские основания [Электронный ресурс] / Е.В. Брызгалина, В.В. Миронов // Электронное научное издание Альманах Пространство и Время. — 2015. — Т. 9. — Вып. 2: Пространство и время принятия решений. — Стационарный сетевой адрес: 2227-9490e-aprovr_e-ast9-2.2015.54. Education Management as Response to the Challenges of Educational System of Modern Russia: Social and Philosophical Foundations. Education is the greatest administrative potential concentrated in the hands of any state. That’s why analysis of state educational policy in is highly topical issue. For Russian Federation, this matter is acute controversial, because of conflict between Anglo-American model of education (which Russian Ministry of Education & Science took as model for reform) and continental one, toward which Russian educational system gravitates. These two versions differ in education management, depending on the understanding of its goals and objectives. The Anglo-American model interprets education as person’s private matter. Consequence is a lack of a centralized and institutionalized control over education, with the exception of regulation of vocational education by professional associations. In turn, the continental approach defines priorities of education, based on the interests of society and state. In countries where such a model is implemented, education develops mainly thanks to state financing. Within such approach, state control over education, government regulation of its content, and formal presence of qualification requirements for fields of education are important. The subjects of our article are peculiarities of decision making in education management in Russia. Using social-philosophical and critical methodology in the framework Challenge-Response approach, we examine state education management system of Russian Federation, which is influenced by legislative and executive framework of organizations in line with modernization trends approved by the country. The analytical approach allowed detect the managerial responses to challenges which are the result of both changes in the world educational system at large and internal development within the country. Thus in our article, we discuss five scenarios of administrative decisions of state and high-school management that describe the consequences for the different actors of education and their relationships. In the first scenario, the state and higher education institutions may pay attention to the quality of education as the main factor in choosing particular education in particular university. The second scenario assumes universities will attract all potential students without rigorous selection, trying to win a competitive interaction with other universities using hype, low prices for education, and all sorts of discounts. The basis of the third scenario could form government decisions aimed at changing attitudes towards technical and humanitarian education. State support will be provided for students of engineering and science specializations, announced as a priority for the future development of the country. To strengthen links with the real economy, universities will introduce a system of distribution for partner enterprises. For the humanities specializations, the norm will be leaving the university after a bachelor degree, many bachelors will think it is not necessary to obtain narrow specialization, and would prefer to enter the labor market for independent job search. In the framework of fourth scenario, as a result of a significant reduction the number of students due to demographic reasons, as well as to maintain the quality of education at the state level, tough decisions related to the closure of the universities can be taken (by reducing budget financing). As a result, education will become accessible to smaller and smaller part of the graduates of general education, the selection in remaining large regional and metropolitan universities, as well as in some narrowly-specialized ones, will be toughened. Finally, the fifth scenario suggests higher education shifts the emphasis on the interaction with schools in the selection of applicants. Most universities will sign a contract with several schools, where university lecturers will teach. Due to these close ties, universities will be able to plan the formation of their contingents. To the most talented students universities will offer free education, as well as increased stipend or grants from potential employers. We conclude education management effectiveness depends on precise articulation of internal and external aims, as well as intermediate and final ones. Keywords: education, state policy in the field of education, education reform, world educational space, educational system. Bryzgalina E.V. "Competence Approach and the Future of Socio-Humanitarian Education." Herald of Volgograd State University. Series 4 1 (2013): 162—169. (In Russian). Bryzgalina E.V. "Management of Education as Complex Social Institution. Philosophic Problems." 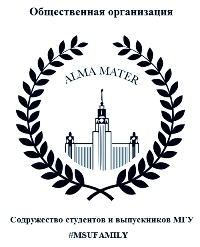 Herald of Tomsk State University. Series Philosophy. Sociology. Political Science 4 (2012): 12—19. (In Russian). Bryzgalina E.V. "The Problems of Education Quality Evaluation: Theory and Practice." Natural Science Education: Secondary School and Higher Institution Interaction. Ed. V.V. Lunin. Moscow: Moscow University Publisher, 2012, pp. 124—144. (In Russian). "Federal Law no. 273-FZ ‘On Education in Russian Federation,’ 29 Dec. 2012." Rossiyskaya Gazeta [Russian Gazette] [Moscow] 31 Dec. 2012. (In Russian). Hardt M., Negri A. Empire. Moscow: Praksis Publisher, 2004. (In Russian). Mironov V.V. "Philosophical Reflections on the Reform." Philosophical Education. Bulletin of the Association of Philosophical Departments and Branches 3 (2012): 173—184. (In Russian). Mironov V.V. "Problems of the Russian Education Reforms." Metaphysics 14.4 (2014): 52—60. (In Russian). Mironov V.V. "Reflections on Reform." Herald of Moscow State University. Series 20: Pedagogical Education 3 (2013): 32—70. (In Russian). Mironov V.V. Reflections on the Russian Education Reform. Report on International Scientific Conference “Philosophy and Education in the Culture Transformation Process” Dedicated to the 70th Anniversary of Philosophical Department Reconstitution within the Moscow State University Structure. Moscow: A.V. 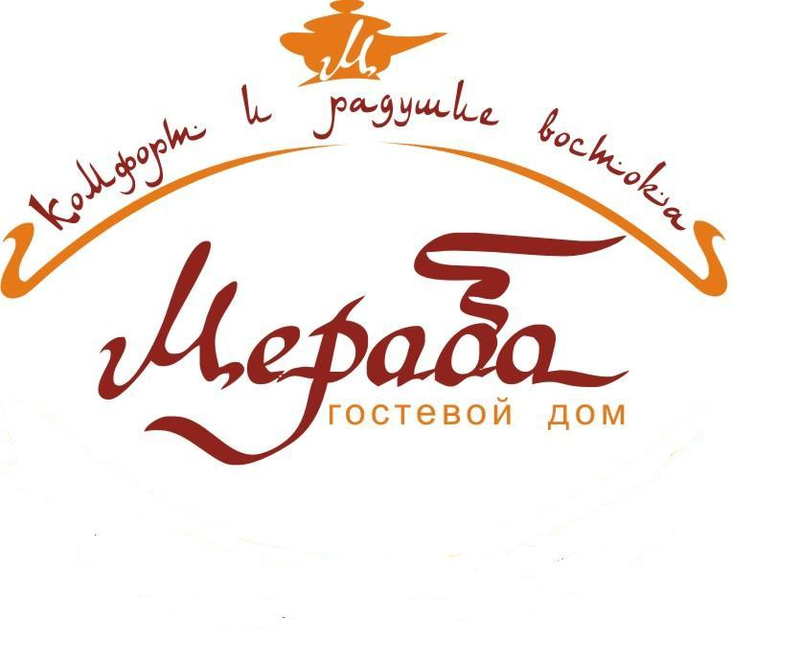 Vorobiev Publisher, 2011. PDF-file. <http://istina.msu.ru/media/publications/books/48c/0e3/835395/2011_Tekst.pdf>. (In Russian). Panarin A.S. "Globalization as a Challenge to the Vital World." Herald of Russian Academy of Science 74.7 (2004): 619—626. (In Russian). Sorina G.V. "Administrative Decisions in the Modern Education System. I." Herald of the Russian Philosophical Society 3.1 (2007): 65—69. (In Russian). Sorina G.V. "Administrative Decisions in the Modern Education System. II." 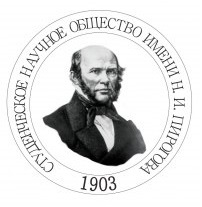 Herald of the Russian Philosophical Society 4.2 (2007): 59—65. (In Russian). Sorina G.V. "Education Management: Features of Decision Making in the Competitive Selection." Prostranstvo i Vremya [Space and Time] 3 (2012): 222—224. (In Russian). Bryzgalina, E. V., and V. V. Mironov. "Education Management as a Response to the Challenges of Educational System of Modern Russia: Social and Philosophical Foundations." Elektronnoe nauchnoe izdanie Al'manakh Prostranstvo i Vremya [Electronic Scientific Edition Almanac Space and Time: Space, Time and Decision Making] 9.2 (2015). Web. <2227-9490e-aprovr_e-ast9-2.2015.54>. (In Russian).